Home > Celebrity Style > Steven Yeun and Joana Pak are Married! 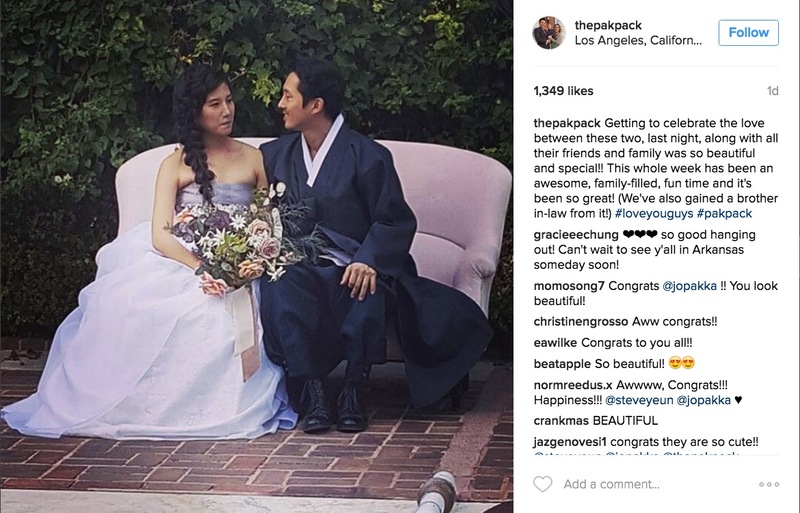 Steven Yeun and Joana Pak are Married! 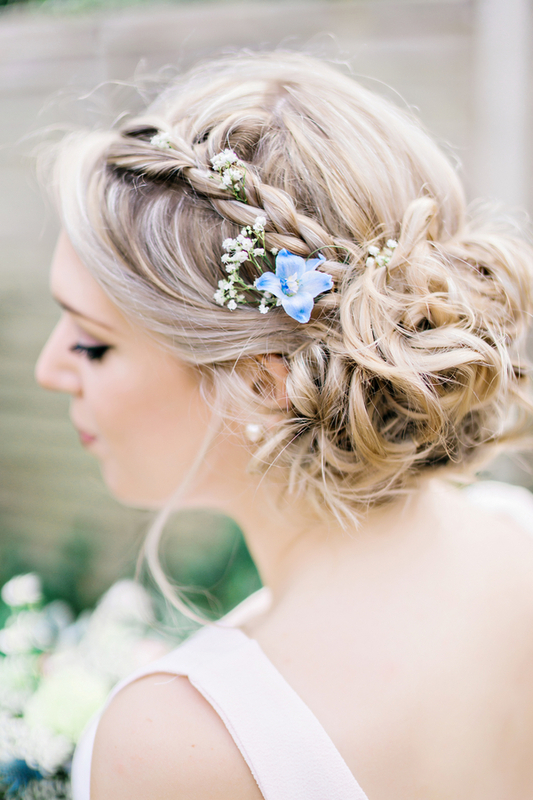 See beautiful braided hairstyles for your bridal look inspired by Joana Pak's boho-chic 'do. It’s official! The Walking Dead’s Steven Yeun and photographer Joana Pak tied the knot on December 3rd at a picturesque estate in Los Angeles. Steven rose to stardom in 2010 when the hit AMC show first aired, and has since become a favorite amongst fans. The couple is relatively private, but social media has made it clear that many of Steven’s co-stars were in attendance to wish them well, including Sarah Wayne Callies, Andrew Lincoln, Norman Reedus, Chandler Riggs, Alanna Masterson, and Emma Bell. 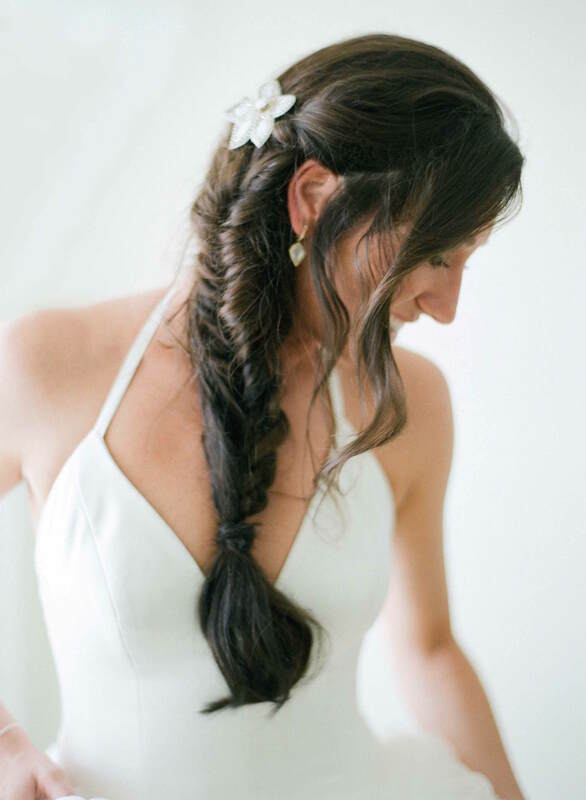 The bride donned a gorgeous lavender gown – quite befitting of a chic California wedding – and elected a lovely, long braid as her hairstyle for the big day. Long braids have been coming into the bridal spotlight recently, as they are the perfect ‘do for a bohemian gal looking to do something casual yet interesting for her wedding-day look. Joana is clearly a seasoned professional when it comes to aesthetics, so boho brides: look no further for your hair inspiration! 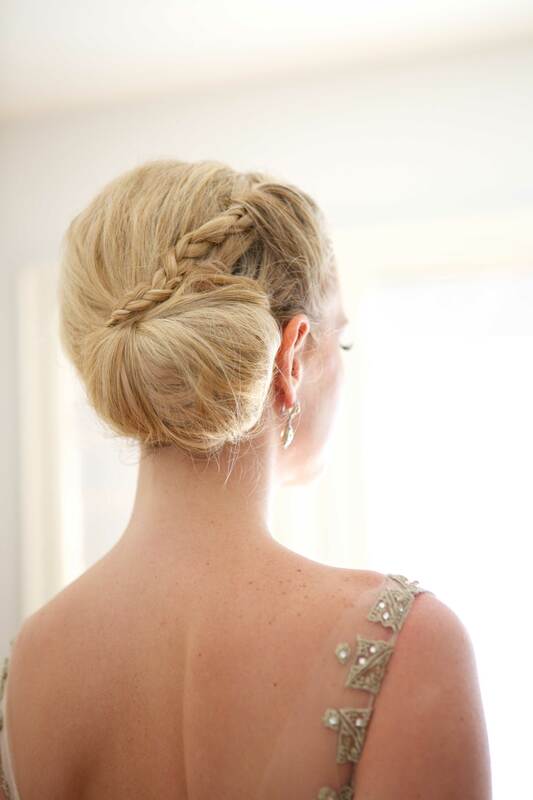 To see similar braided styles from real brides, scroll through the photos below, and be sure to click on each one for more ideas! For more celebrity wedding inspiration, get the wedding-day looks of Angela Kinsey, Adrienne Bailon, and Audrina Patridge.